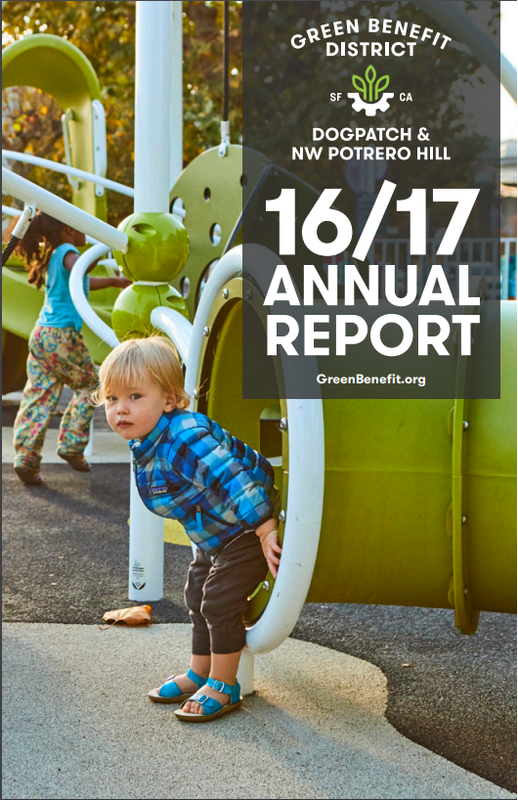 Dogpatch and Northwest Potrero Hill is required to prepart an Annual report after the year ends. The fiscal calendar ends at the end of June each year. FY 15-16 was the first year the GBD collected assessments. It was a year of beginnings. The GBD's second year got off to a good start with and election a new Executive Director and a retreat helping to focus on projects for the year.